TT's Special Olympics contingent in Sharjah for the World Summer Games which in Abu Dhabi, United Arab Emirates. 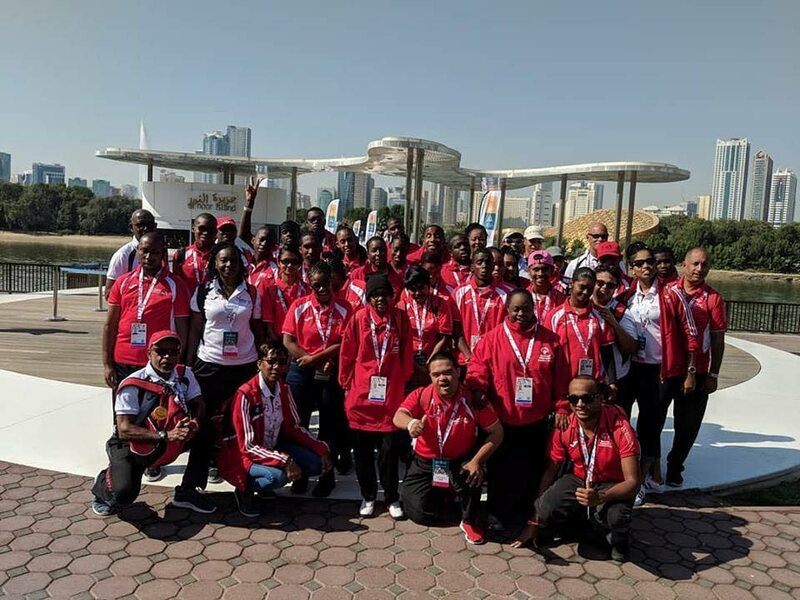 SPECIAL Olympics TT’s (SOTT) 44-member delegation is expected to arrive home at the Parico International Airport tomorrow at about 5 pm, along with their 56 medals, which they earned at the Special Olympics International 2019 World Games in Abu Dhabi, United Arab Emirates. SOTT’s participation ended, on Wednesday, a day before the games were officially brought to a end with a closing ceremony at the Zayed Sports City Stadium. In the UAE, SOTT racked up 19 gold, 15 silver and 22 bronze medals, competing in athletics, equestrian, bocce, powerlifting and swimming. Reply to "SOTT team set to return tomorrow"